When Jay Wright speaks, his Wildcat squad listens. The veteran coach knows how to communicate with his players and that is one of the reasons he has had such a successful tenure. A key for West Virginia‘s resurgence this season has been the turnaround of senior guard Casey Mitchell. Mitchell, who was thought to be a consistent player for the Mountaineers, battled inconsistency and conduct problems throughout the early part of the season. UNC head coach Roy Williams revealed guard Dexter Strickland has been battling a knee injury for a few weeks. Strickland’s health will be a key to Carolina’s chances of making a deep run. Marquette has struggled with defensive inconsistencies all season, but they have had great success getting to the hoop and drawing fouls. Look for Jimmy Butler and Darius Johnson-Odom to exploit the Musketeers in an attempt to get easy hoops. #13 seed Princeton is seeking a monumental upset as they prep to face Kentucky. The Tigers do have a history of pulling huge shockers in March, as they stunned defending champion UCLA in the first round in 1996. Kansas State standout guard Jacob Pullen is battling the flu, but is expected to be a full participant in tonight’s tilt with Utah State. If Pullen is not 100%, one can assume Utah State’s chances for an upset get significantly stronger. The fresh infusion of talent provided to Gonzaga by the emergence of Marquise Carter, David Stockton, and Sam Dower have been key to the Zags’ late season run. 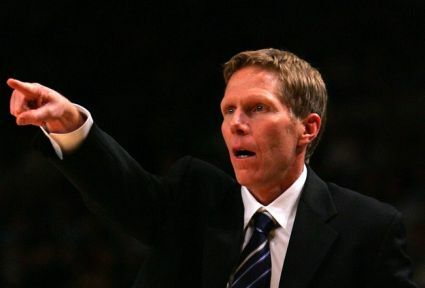 The play of all three will undoubtedly dictate if Mark Few‘s squad will make any noise. Tom Izzo knows this season did not go exactly the way he wanted it to, but an experienced squad can be a huge factor if the Spartans make a run. Izzo is a great veteran coach, who has Final Four experience, so a big run may not be that surprising. St. John’s associate head coach Mike Dunlaphas interest in the opening at Wyoming. Dunlap has a great track record as an assistant and a lower-level head coach and could thrive as the head man at Wyoming. An interesting story has emerged about how Old Dominion head coach Blaine Taylor has endured bouts with alcoholism. His road to redemption is quite inspiring, as he did not let his demons put an end to his career. 1) Saint Mary’s (24-8, 11-3). The record puts them slightly ahead of Gonzaga, but the Gaels would gladly trade places with the Zags as the NCAA Tournament looms. Without an automatic bid, the Gaels and their mediocre out-of-conference record are at the mercy of the NCAA Selection Committee. Hope for the Big Dance, but consider the NIT a strong possibility. 2) Gonzaga (24-9, 11-3), WCC Tournament Champions, recipient of automatic NCAA bid. How well a rugged out-of-conference schedule will hold up to the Selection Committee’s scrutiny will determine where the Zags are seeded. They are definitely on an upsurge at regular season’s end, something the committee considers favorably. 3) San Francisco (17-13, 10-4), not an NCAA Tournament contender but an intriguing late-season story, the Dons gave Gonzaga a tougher game in the WCC Tournament semis (lost 71-67) than Saint Mary’s did in the championship game. 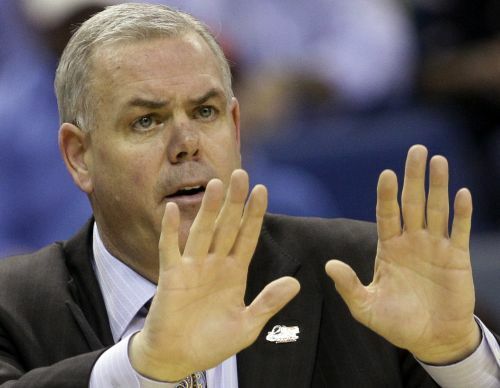 The NIT is definitely a possibility for Rex Walters’ team. 4) Santa Clara (19-13, 8-6) seems to fit the profile for a bid to the College Basketball Invitational or the CollegeInsider.com Postseason Tournament. 5) Portland (20-11, 7-7) posted another 20-win season and played in the CollegeInsider.com tourney last year, but would seem to rank behind Santa Clara for a bid this year. 6) Pepperdine (12-21, 5-9) finished with a small push to stay out of the bottom of the conference, but will have to settle for that. Team anomaly: the Waves played better with the dismissal of star guard Keion Bell than they did with him in the lineup. 7) San Diego (6-24, 2-12). The Toreros ruined Randy Bennett’s season with their improbable upset of the Gaels on February 16, but did little else to give Bill Grier a reason for an upbeat off-season. 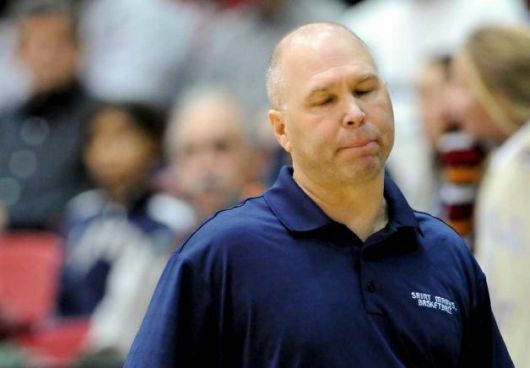 8) The hands-down Disappointment of the Year in the WCC, Loyola Marymount ended in last place after being picked second ahead of Saint Mary’s in a pre-season coaches’ poll. Does embattled Max Good have a future with the Lions after his team’s utter collapse? Only time will tell. When the nets were cut by the victorious Gonzaga Bulldogs Monday night at the Orleans Arena in Las Vegas, there was a sense of déjà vu for the West Coast Conference. The same foes, Gonzaga and Saint Mary’s, battled it out for the WCC tournament championship and the automatic NCAA bid that went with it. Gonzaga won this year’s title, 75-63, avenging an 81-62 pasting administered by the Gaels in 2010, and could claim WCC supremacy for the 11th straight year even though the Zags and Saint Mary’s tied for the regular-season championship with 11-3 records. Gonzaga now stands at 24-9, and Saint Mary’s at 24-8 with a rare Friday contest in between against Weber State – added as a warm-up for possible post-season play – still to come in Moraga. For all the apparent similarities, however, the story of the Gaels and Bulldogs was marked by differences. The turning point in both teams’ season came in a January 27 game between the two on the Zags’ court in Spokane. Saint Mary’s gutted out a 73-71 win on the strength of Mickey McConnell’s last-second one-handed leaner from the free throw stripe with the Zag’s seven-footer Robert Sacre draped all over him. The game should have been a difference-maker for Saint Mary’s, marking the first victory in Spokane during the immensely successful 10-year reign of 2011 WCC Coach of the Year Randy Bennett. Instead of using the victory to spark a late-season run to the outright WCC championship and a secure NCAA seeding, however, the Gaels stumbled badly from that point on. They were routed 85-70 by a pesky Portland Pilots team two nights later in Portland, followed that up with an inexplicable 74-66 loss to cellar-dwelling San Diego on February 16, lost an ESPN Bracketbuster contest against Utah State 75-65 in Moraga on the 19th, and then dropped the rematch against Gonzaga, 89-85 in overtime on the 24th to give the Zags a shot at a conference season tie. Only a regular season-ending victory over Portland in Moraga on February 26 enabled the Gaels to avoid total collapse heading into the WCC Tournament. Gonzaga, on the other hand, used the Saint Mary’s loss to spur itself to a 9-0 WCC run marred only by a 62-58 non-conference setback against Memphis on February 5. Gonzaga’s spurt was fueled in part by the ascension of JC transfer Marquise Carter to the starting point guard spot that had eluded him previously. On the strength of his late-season play, Carter garnered Newcomer of the Year honors in the WCC and was named Most Valuable Player in the WCC Tournament, indicating the realization by other conference coaches of his impact on what had been a wavering Gonzaga offense. As Selection Sunday looms, Gonzaga considers NCAA life with possibly a lower seeding than they are accustomed to – perhaps a 9 or 10 seed instead of a 5 or 6 – but they know they’re in. Saint Mary’s, on the other hand, will be Nervous Nellies on judgment day, hearkening back to two years ago when they were stiffed by the NCAA Selection Committee and won two games in the NIT instead. Most bracketologists had the Gaels in the NCAA field despite the WCC tournament result, but Bennett has been burned before and will probably not relax until he knows the Gaels’ fate for sure. The game against Weber State was not intended, nor will serve, to sway the Selection Committee. Michael Vernetti is an RTC contributor. “What’s wrong with Gonzaga?” is a question heard more and more throughout college hoops. It is not surprising considering the Zags’ unusual 15-9 overall record and shocking 5-3 mark (4th place) in the West Coast Conference that it has dominated for the past decade. When any powerhouse team goes into a slump there are myriad reasons, and the same could be said about Gonzaga. 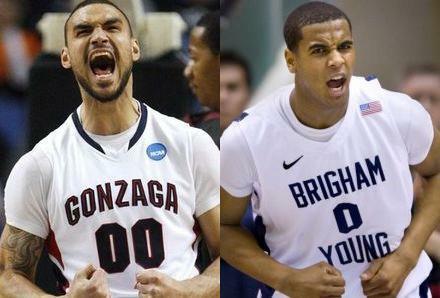 Focusing on two major ones, however, helps put the Zags’ current woes into perspective. Simply put, the Zags are suffering from the loss of two players and a vacuum created by those who failed to succeed them. The missing players are Jeremy Pargo and Matt Bouldin. Pargo was the rugged, 6’2, 219-pound point guard who starred in the Zags’ backcourt for four years before graduating in 2009. He was named Player of the Year in the WCC after his junior year, and gave the Bulldogs a solid counterpart to the canny Bouldin. He could take defenders off the dribble, hit jump shots off screens and go to the hoop to flush the ball with authority. 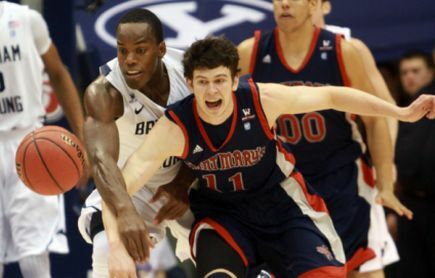 Gonzaga did not directly replace Pargo for the 2009-10 season, instead moving Bouldin into the point guard position and relaying on the mop-head’s court vision and outside shooting skills to maintain the Zags’ superiority in his senior year. 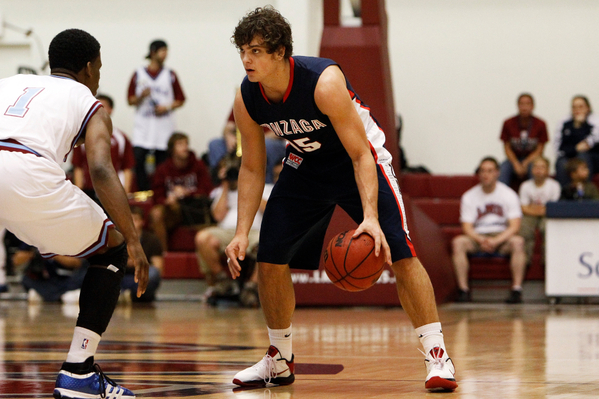 The Bouldin-led Zags hit their first speed bump in the post-Pargo era in the 2010 West Coast Conference Tournament championship game against Saint Mary’s. The Gaels’ inside-out combination of Omar Samhan and Ben Allen in the frontcourt and Mickey McConnell and Matthew Dellavedova in the backcourt led the Gaels to an 81-62 upset. Heading into the 2010-11 season, the Zags thought they had finally found a point guard to replace Pargo and Bouldin with JC transfer Marquise Carter, who was a star for Three Rivers Community College in Poplar Bluff, Missouri. Carter had impressive stats in two years at Three Rivers – nearly 18 PPG and 5.5 APG in his sophomore year – and led the team to the national JC championship game where he scored 35 points in a loss to Howard of Texas. Carter, however, who seems much slighter than his roster size of 6’4, 178 pounds (maybe the 178 is correct), has not caught on with the Zags. The Bulldogs started the season with journeyman backcourt player Meech Goodson at the point alongside all-around star Steven Gray, and based their hopes on their strong frontcourt duo of Robert Sacre in the post and Elias Harris at power forward. Redshirt sophomore guard David Stockton, son of the legendary Gonzaga and NBA star John Stockton, has steadily rung up more minutes at the point as this season goes on, and may end up as the Zags’ regular lead guard by season’s end. Or not, as coach Mark Few has tinkered with his lineup from day one and may not be finished trying to find a solution.